No matter your cup of tea when it comes to power and performance, the range of options available under the hood of the Toyota Highlander make it possible for you to customize this SUV to meet your exact driving needs. On the base-level Toyota Highlander LE, you’ll find a standard 2.7-liter four-cylinder engine that delivers 185 horsepower and 184 lb-ft of torque. 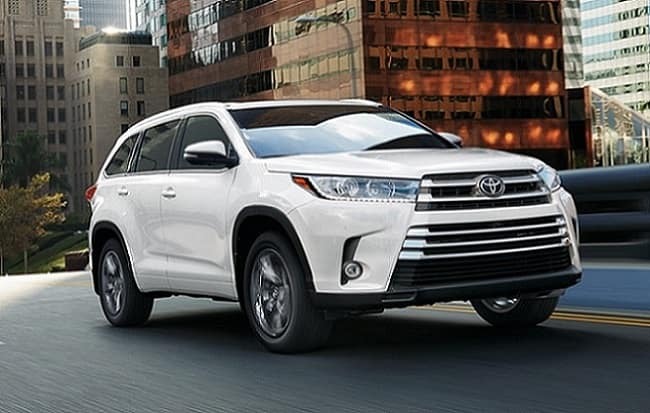 Upgrade to the Toyota Highlander LE, Highlander LE Plus, Highlander XLE, Highlander SE, and Highlander Limited trim levels for a taste of their standard 3.5-liter V6, which ups the ante to 295 horsepower and 263 lb-ft of torque. And all that power doesn’t mean you have to sacrifice fuel economy–this SUV boasts impressive fuel efficiency and an Ultra Low Emission Vehicle II (ULEV-II) rating to put your environmental conscience at ease. No matter what trim level you choose with the Toyota Highlander SE or Toyota Highlander Hybrid models, you’ll enjoy responsive handling thanks to a six-speed electronically controlled automatic transmission featuring intelligent, sequential shift and snow modes. On the outside, the Toyota Highlander impresses with its athletic stance and sleek style and features a dramatic front end with functional roof rails that enhance aerodynamics. Toss in 18-inch Chromtec wheels and a bold front grille with available LED lights, and you’ve got a package that proves beauty and brawn can go hand in hand. The interior of this new SUV provides much of the same. The Toyota Highlander comes equipped with reclining third-row seats and an available panoramic moonroof so your passengers–up to eight adults–can relax comfortably. Modern conveniences range from standard navigation and Toyota Entune to Bluetooth with streaming audio and a backup camera. 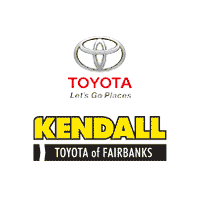 If the Toyota Highlander sounds like the SUV you and your family have been dreaming of, the team here at Kendall Toyota of Fairbanks agrees that this model is perfect for tackling the Alaskan tundra. Come by our Toyota dealership’s convenient location at 1000 Cadillac Ct. Fairbanks, Alaska 99701 to take a test drive in the Toyota Highlander today. If you have any questions or concerns before stopping by, we’d be happy to answer them–contact us for additional information about any of the models available in the new Toyota lineup. The whole team here at our dealership can’t wait to work with you soon!